A few weeks back I had posted about my friend Aly learning to knit. I asked you all to vote on what you thought her first project should be and someone suggested Thermis. I thought it was a great idea, so I stole it for my next project. 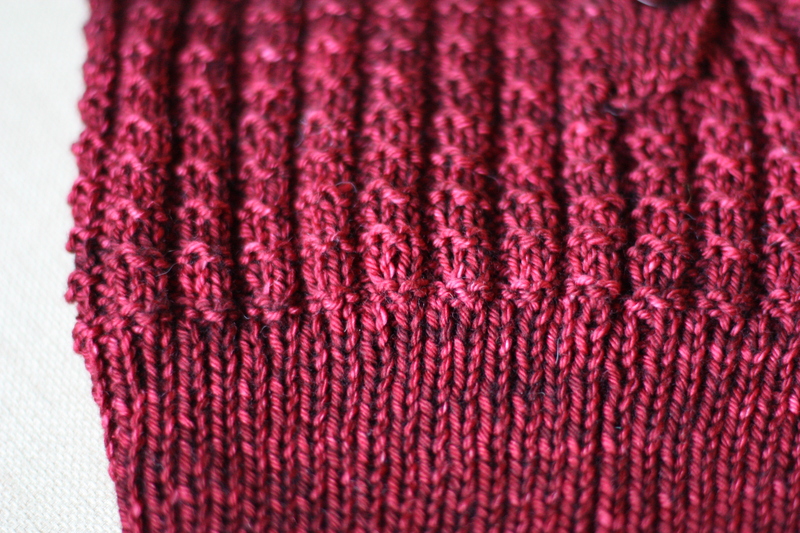 Ya know, as a good friend, I thought I should test knit for her. Just to make sure it was a good project for her. Well, it's a great project! 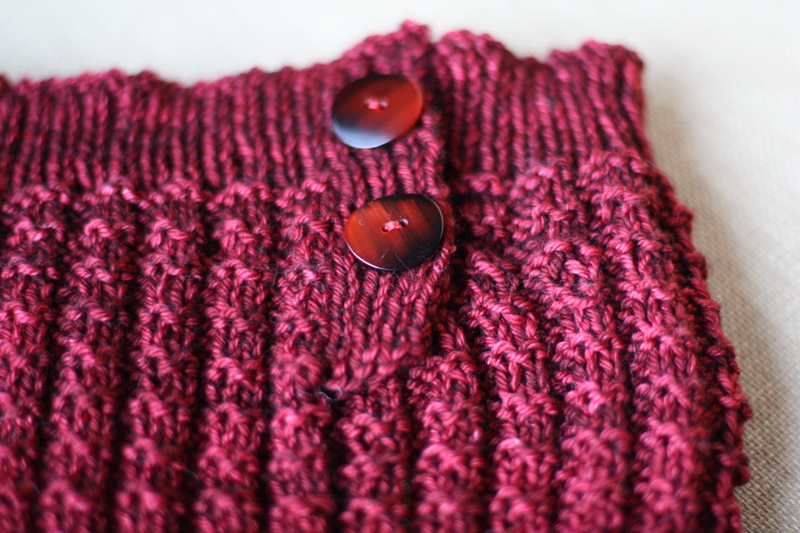 I promise that in real life those buttons match and I didn't stick red buttons on a pink cowl. The cowl is red. Poor choice of lighting on my part this morning. Sorry, I'll do better next time! I have something else in the works that I am super excited about! I got the idea for a pattern on Monday, and got so excited that I had to run to the LYS on my way home from work. As I cooked dinner I charted my pattern - 3 different times. 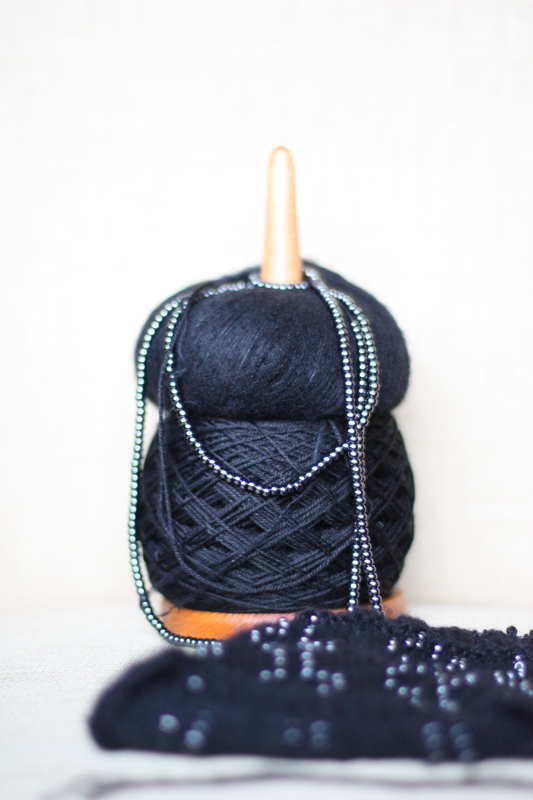 Then I cast on, started knitting and ripped out - 3 different times. The 3rd time was the charm and I'm well on my way which, it turns out, is a must because I need to have it done for a Christmas party this Saturday! It's left me frantically knitting any minute I have free. ...I think I can..I think I can...and I will. I'll share it with you next week! 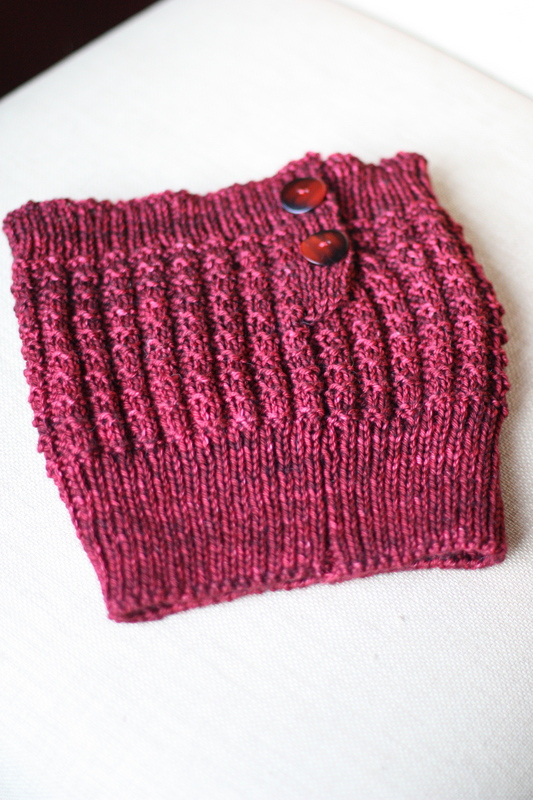 That cowl is so pretty and the yarn was really nice feeling also! Good job, Kara. I cannot wait to see the finished product. It is certain to look fabulous.